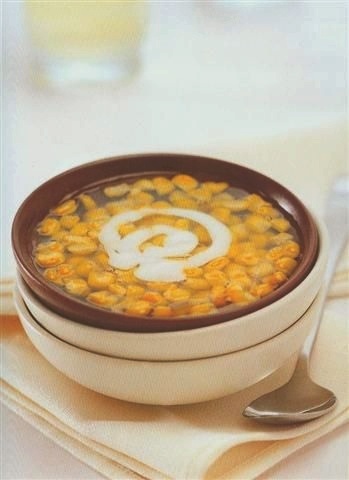 Khao Phoht Piak – Thai Dessert – Corn Pudding recipe. Most Thai sweets do not include wheat flour, which make them great for those who are gluten-intolerant. The typical list of ingredients is simply rice or tapioca flour, water, coconut milk and eggs. The mulititude of resulting variations is amazing. Bring the water to the boil over medium heat, put in the corn kernals and stir frequently until cooked through. Add the sugar and continue to boil until completely dissolved. Mix the flour with some water and add to the corn. Continue cooking and stirring regularly until the flour is done, thick and clear; remove from the heat. Mix the coconut cream and salt together, bring to a boil over low heat, then remove from heat. Serve the sweet corn and top with some of the salted coconut cream.